So you want to draw a New Mexico Coues whitetail tag? The New Mexico draw system is one big lottery pool chance, but filled with potential, if you play your cards right. To be able to hunt the elusive Coues deer you will have to put your name in the hat with many other residents, non-residents and outfitters for the chance to be drawn. Every year the Department of Game and Fish releases application, draw, and harvest data that hunters can use to configure draw hunts and success rates in designated game management units. Only three GMU’s in the state offer Coues whitetail tags, 23, 24 and 27. There are three opportunities in each unit to hunt Coues whitetail deer in New Mexico: archery, muzzleloader and any legal weapon. Each hunt has a specific hunt code the hunter selects when applying in order of preference up to three choices per species. For example, you could select the Archery hunt in 24, the rifle hunt in 27 and the archery hunt in 27. Other units do have smaller populations of Coues deer but do not offer Coues deer specific hunting tags; instead they are designated as “fork antlered deer” and also include Mule deer. Additionally, units 41, 42, 57, 58 and 59 have become home to incoming populations of Texas whitetail from the neighboring states of Texas and Oklahoma. 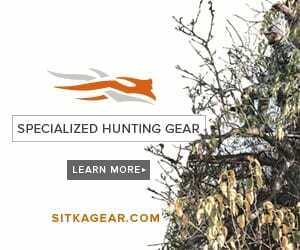 This is a great hunting opportunity for dedicated hunters looking for a unique Western Whitetail bucket list hunt. The application deadline for New Mexico has closed, and hopefully you are in the pool for a chance to WIN! Let’s take a look and see what your odds look like for coming to hunt the Land of Enchantment. Note: If you missed the deadline, keep an eye out for any leftover tags, and don’t forget next year’s application period. Below is an overview of draw odds information provided by The New Mexico Department of Game and Fish. For more information on all big game draw odds, visit their site at http://www.wildlife.state.nm.us/. Source: New Mexico Department of Game and Fish. For more information on draw odds for all big game species, visit http://www.wildlife.state.nm.us/.